The Water Sprite is a modern take on the traditional drying chamois. This synthetic chamois dries fast, leaves behind no streaks, no water spots, and no lint. This is the perfect car-drying tool for anybody drying a lot of cars in a short amount of time. Old-school leather chamois get hard, wear out, and scratch paint. 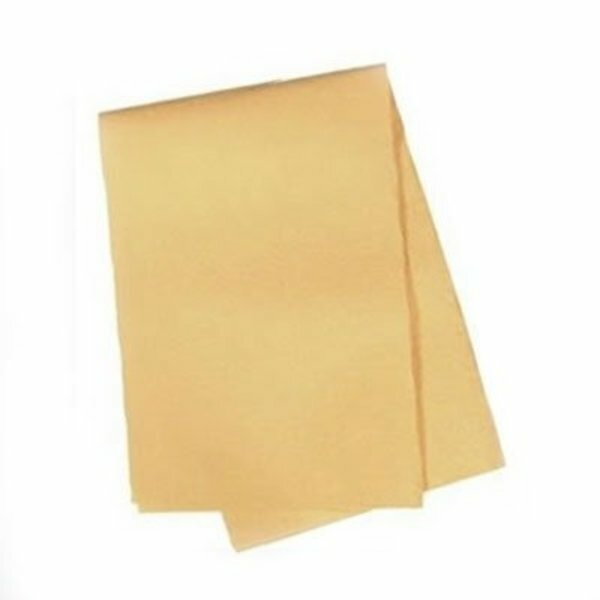 The full-synthetic Water Sprite Chamois holds more water than any traditional leather chamois or cotton towel, and its unique non-clinging texture is soft, non-abrasive, and will not grab onto the paint to cause swirl marks or scratches or wear down wax coatings. Simply glide the Water Sprite Drying Chamois over the surface to soak up standing water after a car wash once all the dirt is removed for trouble-free drying. The long-lasting synthetic chamois is machine washable, and is not eaten alive by mold, mildew, or bacteria like traditional leather chamois. But just like old school chamois, the more you use the Water Sprite, the better it gets! The surface smooths out more and more to become softer, more absorbent, and more flexible to hug every curve and contour on your car. This huge chamois covers 5 and a half square feet, so use it whole to dry your big SUV, or cut it in half to easily work around smaller cars and motorcycles. Keep it in the garage or mobile detailing rig to dry the car after a wash, or bring it in the house to wipe down the counters, shower doors, or bathroom mirrors. The uses are endless, and the Water Sprite Synthetic Drying Chamois outperforms and outlasts the competition! Remove your Water Sprite from the bag, and wet with clear, cold water. Wring out excess water before using to dry vehicle. Pull the Water Sprite across the clean, but damp surface after washing the car. Use to dry off paintwork, glass, clear plastics, polished metals, trim pieces, and more. Rinse after use, wring out excess water, and store damp in a sealed container out of direct sunlight. Machine wash with cold (never hot) water when dirt and grime begins to build up.